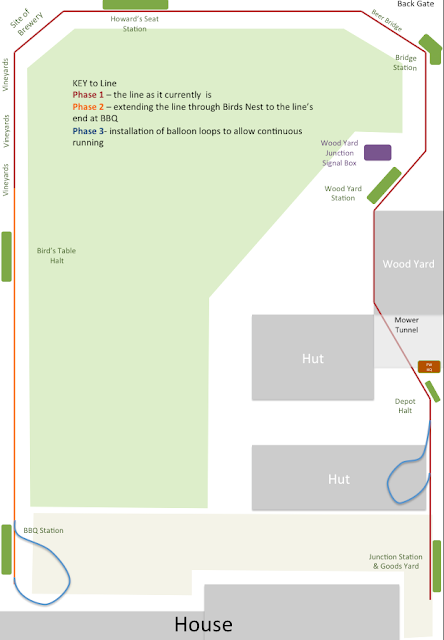 After around 18 months watching and slowly building both a railway and now a supporting website, I've reached the point where I felt I could go public. The website is far from finished - for example the news page is up to about the middle of this summer, with more articles to come - likewise the wagon page is only about 25% complete. The big gap is that I know the website needs a map of the site so everyone can gain an appreciation where everything sits. I will make this my next priority. Its summer time on the CHLR - just look at those Roses and Clematis - rumour is that the drivers have been know to stop occasionally to take cuttings! Last edited by markoteal on Fri Oct 14, 2016 9:25 pm, edited 1 time in total. ooooh I like this a lot. Simple with character... L:ooking forward to following this. Well done ! Loco No.2 Jessie eases the mid afternoon tourist train into Junction station. The good weather has brought out the walkers - (note the stare'y passenger in the coach - I've used G scale people as 1:19 looked squashed in - soon be lighting the coach up as well as the station. 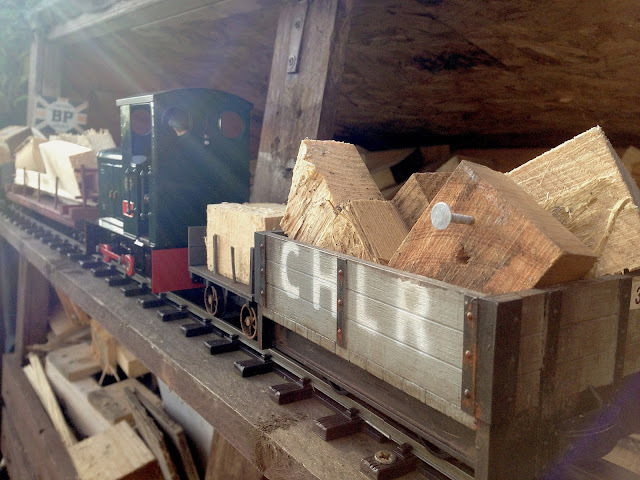 The timber trains were also looked after by Jessie as well - wagon 10, the small log wagon, paired with the monster log bogied no.12 wagon - here's a bit of video featuring them. Is the wooden top in the last pic. working out whether that load is safe, and where his jurisdiction starts and ends? Yes, the boys were busy yesterday and their usual neatness of stacking went out of the window (or is that gauge?) - just glad that Mr Bond's Inspector was other wise engaged yesterday or I might have received a 'memo'. PC Peter Lod likes to visit the railway, he is the village bobby so has more than a passing interest at goings on at the CHLR - I think you are right, with no dedicated British Transport Police presence, perhaps he's considering a bit of moonlighting with a second job. This weekend, before the big winds, the railway management managed to run some bird for relief trains up the line to the bird feeder - here we see number 3 (now proudly showing its 'Kenny' name plates) easing over the bridge out onto the phase 2 section of track.